When you add a Contact to a List object on an Account-based List, the Contact is automatically added to the Account as well. 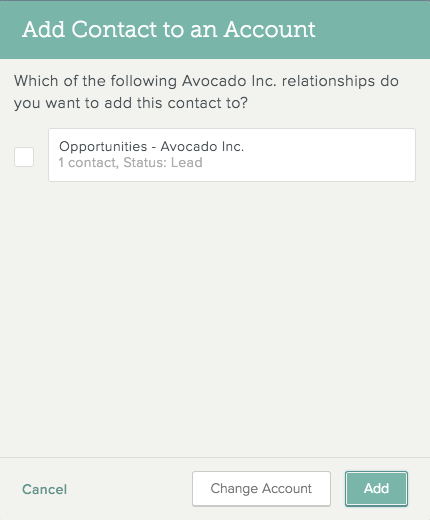 You can also add a Contact directly to an Account without adding it to any List. This is particularly useful when you have a Contact who isn’t yet a part of an active opportunity, for example. In the upper-right corner of the screen, click to open the search field. 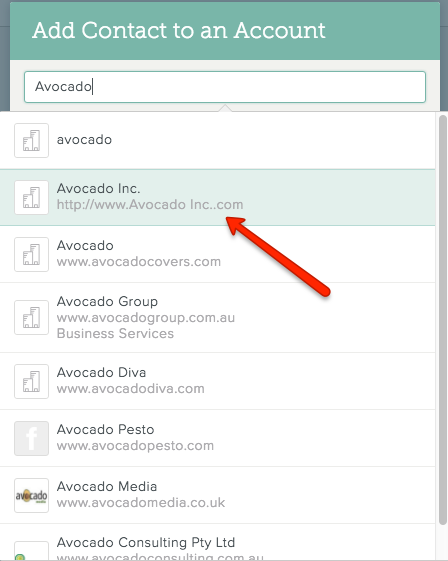 Enter the Contact name and select the Contact from the search results. Note: Alternatively, you can browse to the Contact by clicking at the top of the screen and then clicking the Contact name. On the Contact Profile page, click Add to Account. Enter the Account name in the field at the top. 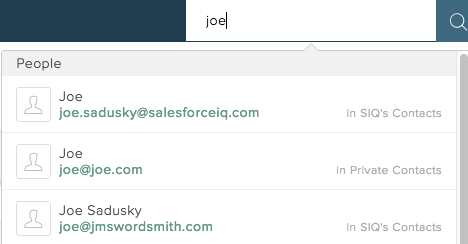 To add the Contact to an existing Account—Select it from the search results. 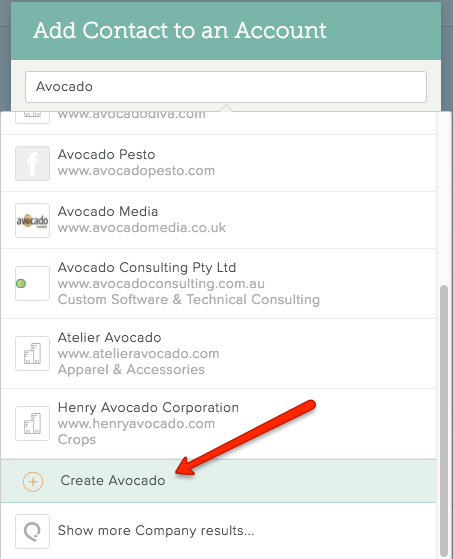 To add the Contact to a new Account—Click Create [account name] at the bottom of the search results. If the Account to which you added the Contact already exists and appears as an object on one or more Lists, you have the option to add the Contact directly to any of those List objects as well. To do so, check the boxes to the left of the List objects. If you just want to add the Contact to the Account but not to any particular List object, leave all the boxes unchecked.